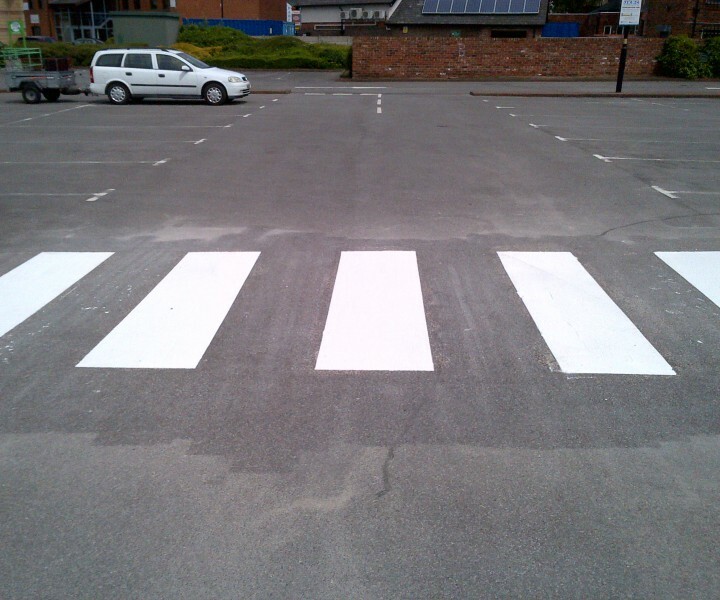 Our client Aggregate Industries requested us to supply and lay 4 Zebra crossings, 300 white demarcation lines and 12 directional arrows on a 24hour retail park in Altrincham. 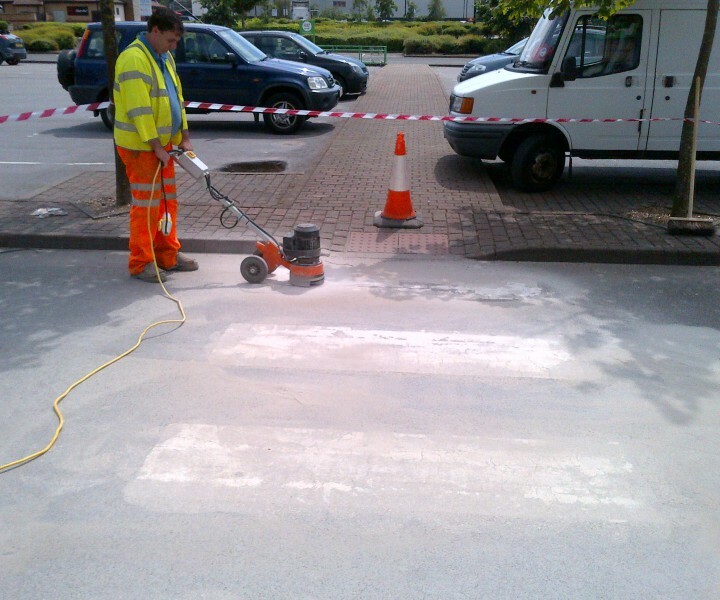 Whilst completing this work the area was in use by both public and vehicles therefore Health and Safety was our main priority. 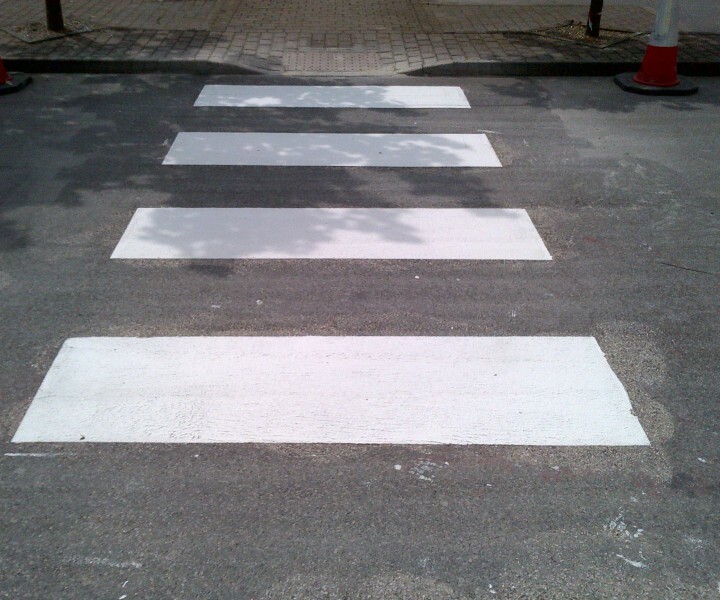 The request was for a quick turnaround therefore we used Safetrack SC in white for the zebras and Safetrack LM (see brochure for download) for the lines. 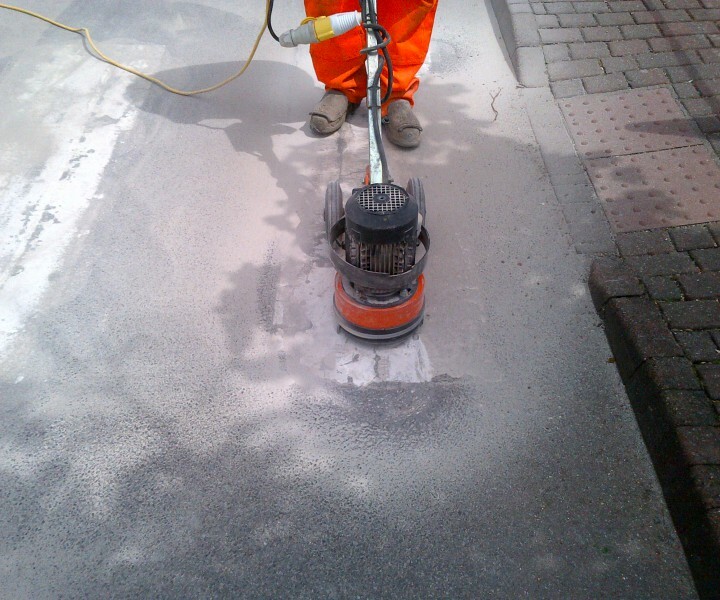 The existing thermoplastic coatings were ground off by a specialised circular motion grinder before applying the Safetrack directly onto the surface. The Safetrack was used for its high quality, fast drying and anti slip properties. There was no need for heavy plant and was laid using minimum workforce therefore extremely cost effective.